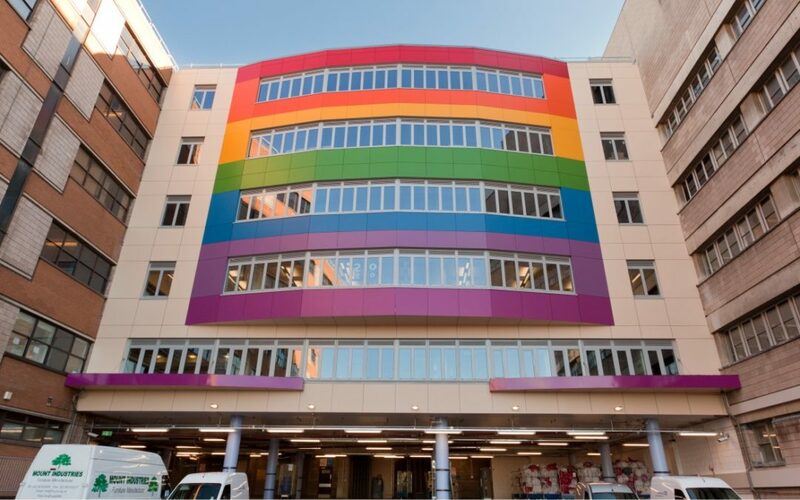 The Biomedical Research Unit (BRU) project consists of a six-storey extension located within the main loading bay area of Southampton General Hospital. The site is defined on three sides by existing buildings. Accommodation includes Consulting Rooms, an Endoscopy Suite, open-plan and cellular office areas, a Mass Spectrometer Laboratory suite and Training/ Meeting rooms. Levels F and G will be fitted out in the future. Levels B, C and D were completed in October 2010 with a contract value of approx £ 6.3 million.